Thank you for your support! 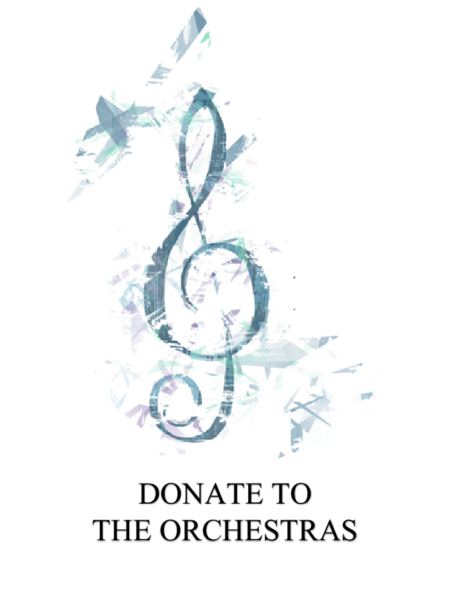 Your donations make it possible for DHS-Holmes Orchestra Boosters to help the orchestra program in many ways, including purchasing and maintaining instruments, offsetting field trip costs, and outreach concert programs. Suggested donation amounts are $25, $50, $100, and $250. If you are interested in donating more, please read about our Platinum, Gold, and Silver Level Sponsorships below. Email Fundraising announcements to all orchestra email list servs. Reaches over 300 families. Advertisement in formal concert programs. Slide Show Advertisement on large screen over stage at formal concerts. Orchestra Website Sponsorship logo and Ad. Concert CD/Bluray recognition and Ad in program insert. MC recognition from concert stage at each formal concert. Email Fundraising announcements to all orchestra email list servs. Reaches 100’s of families. Sponsor logo in formal concert programs. If you’d like to be a business sponsor or Platinum, Gold, or Silver level sponsor, please email Hoa Chatfield at hoachat02@gmail.com for more details about sponsorship perks.